Delhi's ruling Aam Aadmi Party (AAP) is yet to finalise the names of candidates for three Rajya Sabha seats from Delhi which are falling vacant next month, with party leaders Ashutosh and Sanjay Singh emerging as the possible choices. AAP sources said that the process of consultations was still on and no final decision has been taken. The process of filing nominations for three seats, which are at present with the Congress, will start on Saturday. 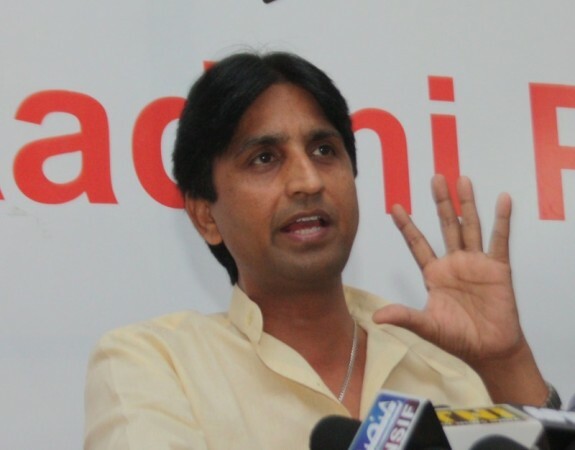 Party leader Kumar Vishwas is seen to be contender for a seat but there are feelers from the party that he may not be fielded. His supporters had raised slogans at the AAP office on Thursday demanding that he should be sent to the upper house of Parliament. AAP has considered some well-known names as its candidates but they have reportedly not accepted the offer. Former RBI Governor Raghuram Rajan and former Chief Justice of India T.S. Thakur. were among names apparently considered by AAP leadership. Other names that have been been doing the rounds are BJP leader and former Union Ministers Yashwant Sinha and Arun Shourie, Infosys Founder N. Narayana Murthy and Nobel Laureate Kailash Satyarthi. The tenure of the current members - Janardan Dwivedi, Parvez Hashmi and Karan Singh of the Congress - will end on January 27.